Ok, maybe the palm trees will take a while...we still love the idea. According to the BBC, Johann Dietrich-Woerner has been the new Director General of the ESA for only a week, but he's already strapping on the moonboots. Woerner unabashedly advocates for pondering the future of spaceflight beyond the International Space Station - namely, using advanced technology to set up shop on the moon. While NASA remains tied to political issues that would likely preclude proposing such an audacious excursion, as head of the ESA, Woerner wants to make the same style strides that the American space agency made prosperous throughout the last half of last century. As NASA continues to prepare its successfully-tested Orion spacecraft for deeper spaceflight, one wonders if taking a spin around our celestial block might be the next good test-drive. 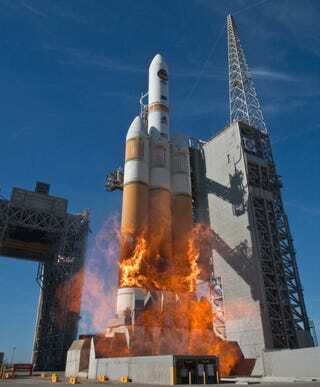 America's Orion rocket: next stop, Moonhattan? It's not like such a plan wouldn't have an intensive intent behind it. Regarding the moon mission, Woerner's not just talking about a few lead-lined pup-tents and some freeze-dried food pouches. His vision makes for a multinational moon colony with robotic assistance, new satellites, and a telescope that would use the advantageous viewpoint to gaze even further into the cosmos. We can 3D-print live organs, why shouldn't we be able to 3D-print a moonbase? While the moon's natural craters have previously been considered for possible habitation, the idea of using a giant 3D printer to help create buildings and other infrastructure has gained traction. This would also make for a great test-drive of the technology before we bring it to Mars, since the moon is only a four-day trip from Earth, as opposed to the half-year trek it takes to get to the Red Planet. Any kinks in the system could be dealt with much more quickly (and possibly life-savingly) thanks to the proximity. “We should have international cooperation, without any limitations, with any countries of the world,” says Woerner. “We have enough Earthly problems between different nations – space can bridge these Earthly problems and the Moon seems to be to be a good proposal." That's "one small step" that could be the next giant leap into the future - maybe even including Mars. 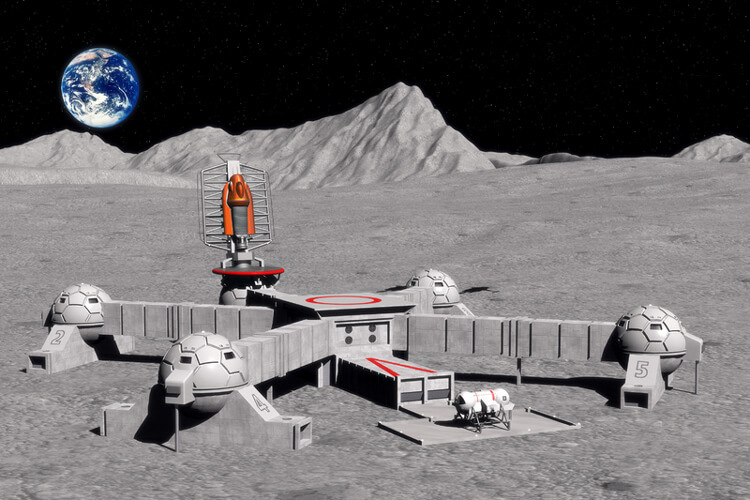 No official plans or designs for the moon colony are in place yet, but it sure is fun to speculate. I want to be in that first image so much.